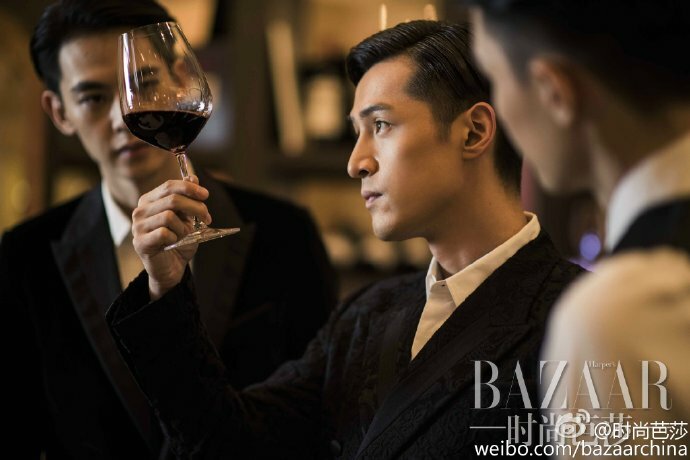 Bazaar China's November Issue features Hu Ge attending an extravagant wine tasting event, socializing with the other guests and turning up that sophisticated charm of his. Is it just me or does every frame feels like it should belong in a wine commercial and not a very good one at that? I suppose the only things missing are dramatic instrumentals and a smooth talking narrator to sell the story. 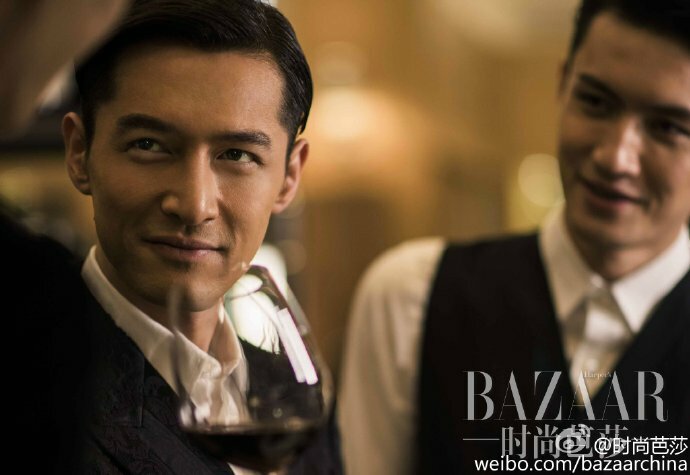 At least Hu Ge is still smoldering and smexy, especially in the photo above where he gets to play off his energy with an equally attractive model. Sourced from Bazaar China's Weibo.